This stems from a stolen cellphone and at $12k+ phone bill from Rogers. Customer Susan Drummond is suing, and I'm betting she will win big. Meanwhile, I would hate to be the Communications guy for Rogers today, as the Globe & Mail featuring an article on 3 pages showing just how greedy and inflexible the company is. The bad publicity they received today is worth way more than the phone bill. The customer went overseas for a month. When she returned, she discovered a stolen phone and a $12 k phone bill, 160 X highter than her typical bill. It seems her phone called Pakistan, Libya, Syria India and Russia. Rogers told her she had to pay the entire amount. They have since offered to settle for $2000, Ms. Drummond refused. Before this is over, the damage to Rogers will be pretty ugly. Will I ever deal with them? Not a chance. But you might say, hey mister anchovy, these are the cable guys...how will you get cable? I'm happy to say I get more channels than I need with a $20 set of rabbit ears! 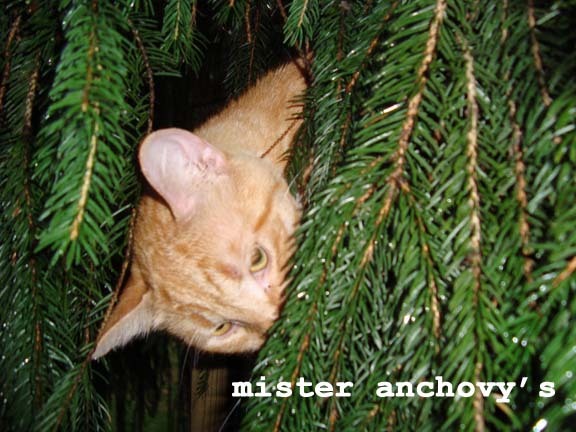 Posted by mister anchovy at 3:08 p.m. I've heard their cell service is pretty bad. But so is Bell's. We had cable and internet from them in Ottawa. Things started going downhill after the purchase of the cable box and the screwing with our channels. Don't get me started! Update: I just saw this story on the CBC! Shocking! Bell Mobility is no better! I had a battle royal with those guys - they only started to pay attention when I wrote the president and started talking about going to the media. As if cell phones weren't evil enough! The cell companies are even worse! Damn, there is at least ONE thing we do better down here! Our cell service is great, we have a lot of companies competing with each other, so prices are pretty reasonable and customer service excellent. even cable isn't too bad here, with the competition from sattelite providers Direct TV and Dish NetworK. In fact, our cell service is so good I am ditching my traditional phone as soon as the city finishes wiring downtown for WIFI. The only thing I use that line for is DSL. Note the article said her phone was STOLEN, not cloned, two very different actions. More than likely she had it with her. It was stolen and she did not notice it gone. And when she got home she had a huge phone bill. If the phone was stolen in her home country, she could have filed a police report, showed it to Rogers and they would have written it off. If the phone was stolen overseas, when she noticed it gone, should have immediately called and reported in. As someone who travels internationally, I tend to keep the phone with me on trips. Most people do. The article is very light on these details. If it was a GSM phone they generally need access to the phone and have to grab and clone the sim. So physical access is needed for the device. The article mentions that the owners of rogers got scanned and cloned. When was it, soounds like they used TDMA phones, which was probably a few years back when it happened.